Juvederm Volbella XC is an FDA-approved hyaluronic acid (HA) filler used for increasing lip fullness & softening fine lines around the mouth. For the safety & satisfaction of our patients, all lip injections are performed by one of our expert physician injectors. Am I a good candidate for Volbella? 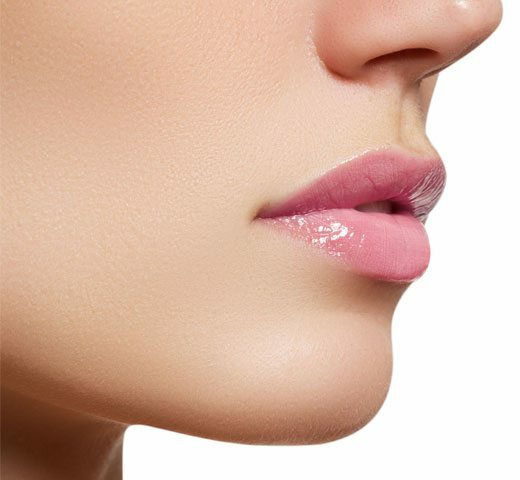 If you’re interested in lip augmentation with Volbella, we encourage you to book a cosmetic consultation with one of our board-certified physicians. Their years of experience coupled with an artistic eye enables them to design a tailor-made plan that complements your unique look. What is Volbella treatment like? Volbella is pre-mixed with lidocaine to minimize discomfort. Certainly, the mouth can be sensitive and extra steps are often taken to maximize comfort. For instance, the easiest method is to use a dental block (like your dentist) which makes the treatment virtually painless! However, if you’re opposed to blocks, we have other options available like ice or cold air. Once you’re comfortable we’ll begin the treatment, which normally lasts about 10 to 15 minutes. Afterwards, you’ll get an ice pack and care instructions to take home with you. That’s all there is to it! What are the side effects of Volbella? Any downtime? Typically, mild side effects such as redness, swelling and/or bruising are to be expected. However, these should be temporary and easy to manage at home. Regardless, if bruising does develop, we have a laser treatment available at no charge that resolves them much faster. By and large, there’s no downtime with Volbella. To reduce your bruising risk, we recommend avoiding both intense exercise and alcohol in the first 24 hours after treatment. Also, don’t massage the treated areas unless instructed otherwise. When will I see results? How long does Volbella last? The wonderful thing about fillers is that the results are immediate! The FDA has approved Volbella to last through one year. However, everyone responds differently to filler, so longevity can vary from 3 months to 1 year. By all means, please call us in the event that you’re not satisfied with your results after 2 weeks! Although uncommon, touch-ups are sometimes needed to get the best results possible.